Tough defense by NCR Elite. Lance tries to crash it. Lance's first NARCh playing in the Bantham division. See all the KIHA fans watching the game. Bantam Gold – The game between the NCR Tour Elite and the KIHA Warriors was supposed to be a lot closer than it ended up being. Sometimes when you are a team, you run into a hot goaltender and there is nothing you can do. This was the unfortunate case for the NCR Tour Elite. They ran into a buzzsaw, and his name was Donovan Warren. The Elite did everything they could to try and put pucks by Warren, but he was equal to the task. 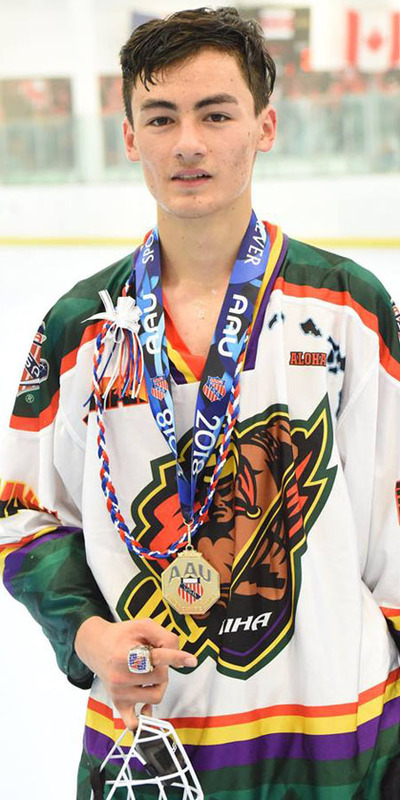 The KIHA defense also played really well in front of him, but when you face nearly 25 shots in a roller hockey game, and you give up 0 goals, you have to give credit where credit is due. As for the scoring in the game, it was all KIHA. They started early in the first period with #26 Attila Gooden scoring a pair of goals roughly a minute apart. #66 Lance Hamilton, and #9 Everett Lau both picked up assists on the goals. In the second period, it was more of the same from KIHA. They struck with laser like precision, scoring all four of their goals on seven shots. It would be #66 Hamilton getting his first of the game early in the second, and #9 Lau notching a goal as well. #26 Gooden would return the favor on the two goals, making it a pretty nice game for him. In the end, KIHA played a tough game, and came away with the 4-0 victory.